In this piece, we look at some alternatives to traditional corporate bonds that managers may use to enhance LDI fixed income mandates. Plan sponsors typically expand their investing toolkits by utilizing out-of-benchmark securities that provide diversification benefits and greater opportunities to outperform. However, they should balance the decision to expand the investable universe against the potentially increased volatility from introducing holdings that may be less correlated to corporate pension plan liabilities. When constructing an LDI portfolio, plan sponsors often consider the discount curve used to value the liabilities. Most corporate defined benefit pension plans calculate their liabilities using discount rates based on high-quality corporate bonds. In particular, accounting liabilities are typically valued using the yield on AA-rated corporate bonds. 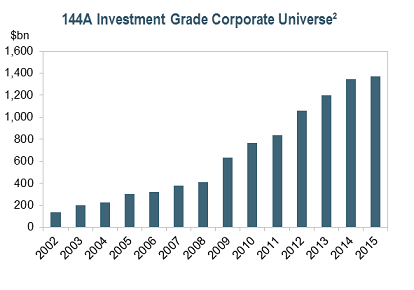 The AA-corporate universe consists of 40 issuers, or 120 issues. Most prudent investors would argue that this is too small a universe from which to construct a portfolio with sufficient diversification. This necessitates investing in securities that fall outside of the liability discount-rate universe. 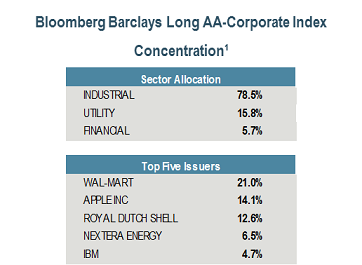 Long-duration, high-quality corporate bonds will tend to be the largest constituent in most LDI portfolios. Expanding the investable universe to include non-benchmark securities provides active managers with broader opportunities to outperform plan liabilities. Relative-value decisions between security types should take into account any additional volatility introduced versus the plan liabilities. In past mailers, we have discussed the reasons for expanding the investable universe to include corporate bonds outside of the AA-rated universe. We also highlighted how investing in lower-rated corporate bonds can add the potential for excess return while still maintaining a high degree of correlation to pension liabilities. In this mailer, we focus on some investment ideas beyond traditional long corporate bonds that managers may incorporate as they endeavor to outperform pension liabilities. liquid, lower-cost, and efficient institutional market for unregistered securities. Many large U.S. and internationally-domiciled corporations issue 144A securities to access the U.S. corporate debt markets. The market in 144A securities is large and diversified. 144A securities account for approximately 18% of new corporate issuance year-to-date. At the end of the second quarter of 2016, the market value of the investment grade 144A universe was approximately $1.5 trillion2. High-quality 144A securities are usually closely correlated to corporate benchmarks and hence to liability discount curves. While they present an additional investment option when constructing LDI portfolios, investors occasionally restrict them from mandates. IR+M evaluates 144A securities similarly to registered securities – based on credit quality, coupon, maturity, deal size, and relative value. Pricing of 144A securities is more dependent on these factors than on their registered status. In many cases, their unregistered status also has no material impact on liquidity; rather, deal size and whether an issue is on- or off-the-run tend to drive trading. Agency collateralized mortgage obligations (Agency CMOs) are created from pools of mortgage-backed securities that have been divided into tranches with various weighted average lives. Specific cash flows are directed to the different tranches based on the prepayment rates of the underlying mortgages. Agency CMOs can be tailored to meet the unique requirements of diverse investors. Within the LDI space, long-duration CMOs can provide a useful tool either as an out-of-benchmark holding in a traditional LDI mandate or as a stand-alone allocation among a broader mix of portfolios. Investing in long CMOs will introduce a degree of tracking error versus a corporate LDI benchmark. 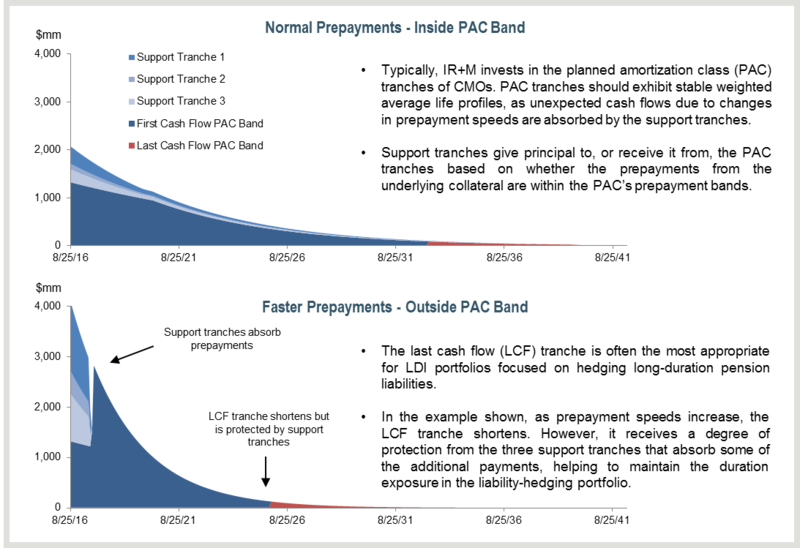 However, long agency CMOs carry very little credit risk due to their agency backing, and they provide a significant yield advantage over similar duration government bonds. 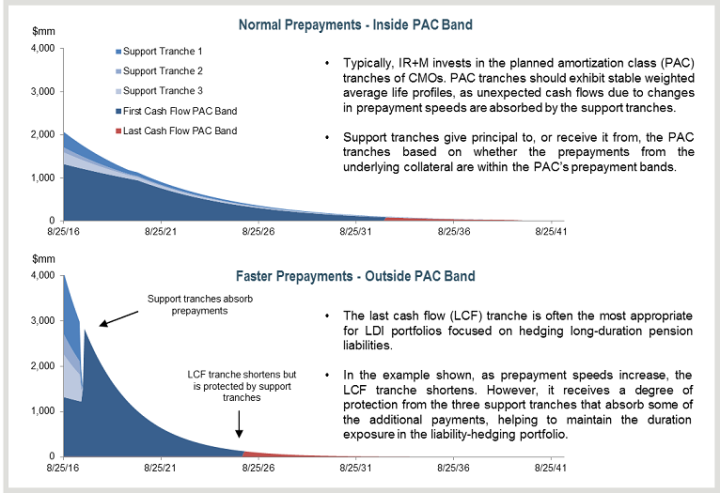 Despite the tranche structure, we believe it is crucial to understand the prepayment risks associated with CMOs by performing fundamental analysis on the underlying collateral. For LDI investors, shortening durations from prepayments can create unwelcome mismatches against their plan liabilities. We estimate the long-duration agency CMO market to be roughly $100 billion in size, providing a more-than-adequate opportunity set for active managers to selectively source securities with desirable structures and underlying collateral. 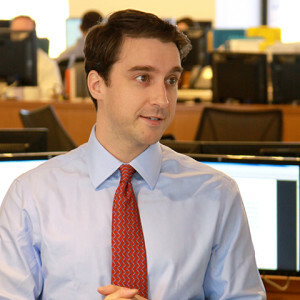 Taxable municipal bonds make up approximately 10% of the Bloomberg Barclays Long Credit Index. However, they are generally not included in the Bloomberg Barclays Long Corporate Index (except for private university debt). Within an LDI mandate, investing in this sector can provide value as a long-term strategic allocation or as a shorter-term tactical position aiming to take advantage of market dislocations. Additionally, municipal bonds typically have low default risk. This can be particularly important in LDI mandates where the liabilities are immune to downgrades within the bond universe that is used to calculate the liability discount rate. 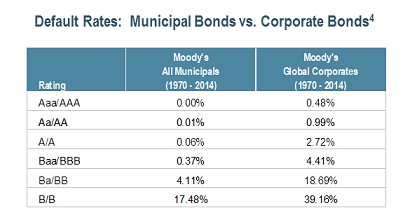 Taxable municipal bonds often compare favorably on a risk-adjusted return basis to similar duration corporate bonds. We frequently see A or BBB-like credit spreads for securities with AAA or AA credit risk. 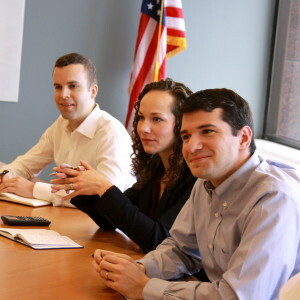 At IR+M, we primarily invest in municipal bonds that are A-rated or better. Within this sector, one-year default rates have been close to zero for the last 44 years. Often considered either a subset of the taxable municipal or corporate sectors, hundred-year or century bonds offer some unique characteristics over traditional term issues. Century bonds frequently offer a significant yield advantage over 30-year corporate bonds. They can also provide roughly twice the convexity, affording protection in volatile rate environments. 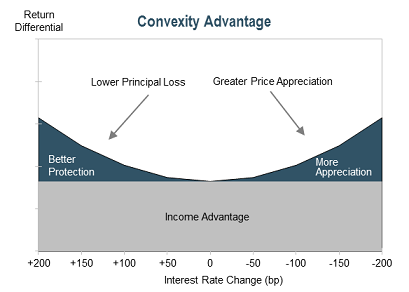 A convexity advantage usually results in a lower principal loss in a rising rate environment and a greater price increase when rates are falling. Issuance has increased over the last several years, as issuers have taken advantage of historically low interest rates. Outstanding century bond issuance now exceeds $25 billion, with many high-quality issuers across a variety of sectors. As plan sponsors develop more customized fixed income benchmarks in the later stages of their LDI journeys, century bonds can be a valuable tool to address longer-duration cashflows or key-rates, both of which can be hard to hedge using traditional term structures. As plan sponsors progress along their LDI journeys, they increasingly focus on protecting funded status gains. The examples highlighted above are just a few of the many ideas that IR+M can access as we build LDI portfolios to help plan sponsors meet their goals. While traditional long corporate bonds will likely remain the largest part of many hedging portfolios, the high demand from LDI investors could make it increasingly difficult to source the desired bonds at favorable prices. 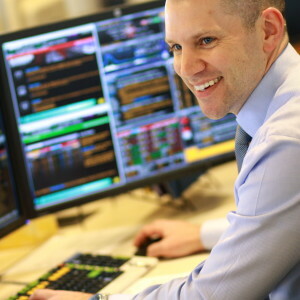 Utilizing some of these alternative high quality ideas allows us to increase portfolio diversification, while providing additional opportunities to outperform plan liabilities. All information as of 6/30/16. The views contained in this presentation are those of IR+M and are based on information obtained by IR+M from sources that are believed to be reliable. This report is for informational purposes only and is not intended to provide specific advice, recommendation for, or projected returns of any particular IR+M product. No part of this material may be reproduced in any form, or referred to in any other publication, without express written permission from Income Research & Management.